... well the bonfire that day was big and hot as I threw box after box and bin liner after bin liner down from the patio roof top, to where my beloved waited below to place the stuff carefully on top of the burning inferno of plastic, metal and paper*. Some of my collection went to the charity shop down the road, but the end result was the same: my games room echoed for a while and I could actually swing a proverbial cat in there or dance a waltz. *course, the wife went and told me off for being ecologically `bad` and went and separated the offending material all into her menagerie of `eco-friendly` bins. Some things I sold or gave away to people I thought might appreciate them. 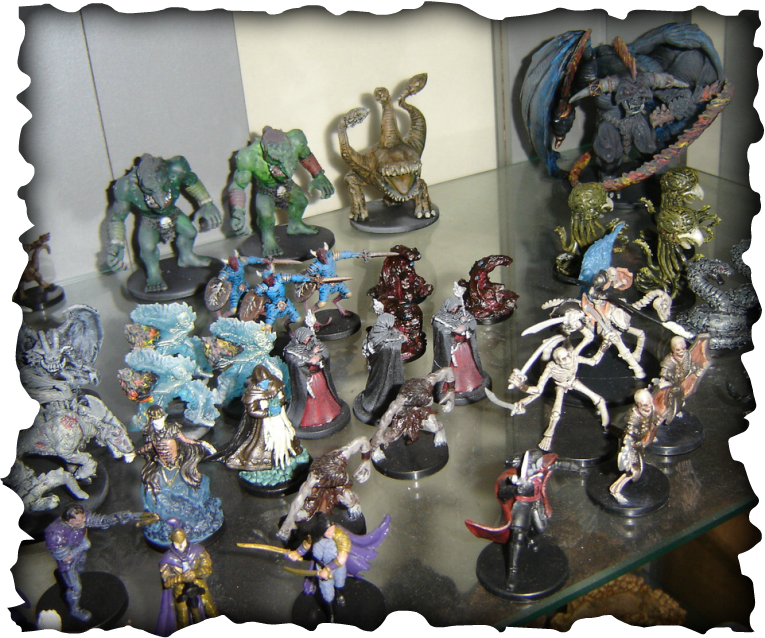 My 1000 MageKnight figures and plastic dungeon tiles went to a friend at Other Realms in Cork. My HaloClix and World of Warcraft minis went to another friend. My entire collection of Games Workshop Middle Earth minis, terrain and rule books went to my daughter`s boyfriend; and most of my D&D rules and supplement manuals went on eBay. Various trunk loads of fantasy books went this way and that to who ever grabbed them first, and for a while several boxes of paperback and hardback novels sat just inside the front door, lining the hallway for anyone calling at the house to grab as many as they desired. When I was done, I had a pile of spare cash and a games room reduced to about 40% of its former clutter. The strange thing about a major clear out is, it really helps you to define what it is you want to keep and use... and distinguishes the rest of the "has to go" crap into a clear list of "will I ever use it again - no". Its like a Phoenix arising from the ashes, as you begin to prioritize your hobby with renewed vigour; and as you grow bolder, blitzing away with impunity... you begin to feel a bit like Bilbo Baggins giving up his ring... freely. Its a deep internal struggle, but once you find the courage to ` let it go` the feeling of relief is immeasurable. Now, even as I did all this, I was working out in my head the genres of game I wanted to keep playing. In the end I was left with: Sails of Glory Naval ship to ship table top gaming: Warlord Games Zulu Gaming (Roarke`s Drift style): Tallisman: Zombicide: Super Dungeon Explore: and Star Wars. I also kept Terrible Swift Sword, Little Big Horn, and all my Advanced Squad Leader simple because I didn`t have the heart to get rid of these, and they are far too valuable to chuck away. And so these will go up into the attic. God knows why, but well... I don't know what else to do with them. The rest of my "to keeps" were: Heroscape (which I later ended up selling anyway): my 28mm Victorian and Pulp stuff: and my 10mm Pendraken Fantasy figures and terrain. Again, I have no idea what I will do with these in the long run, but something told me just to keep them for now. 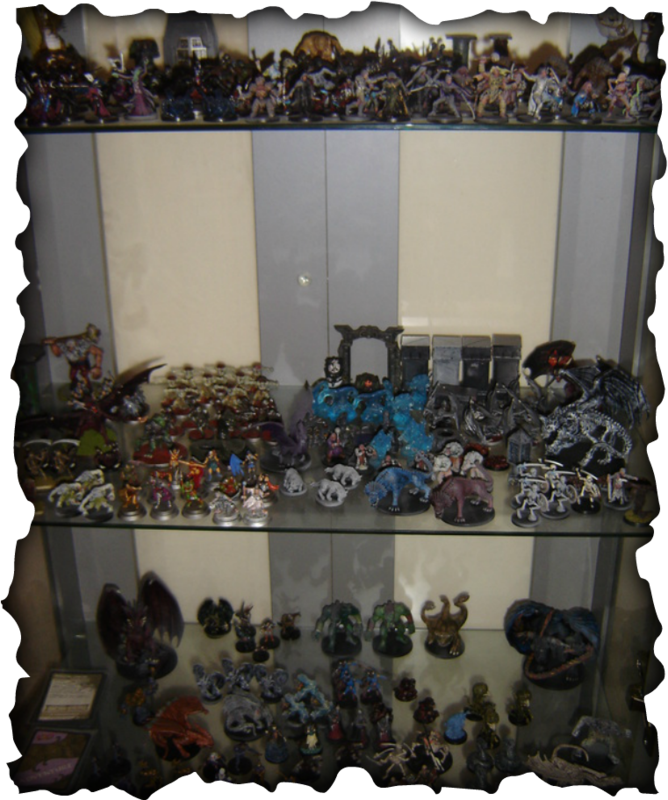 Other purchases I have made over the years (but which I finally let go) was my vast 6mm collection: Tide of Iron miniatures game, Tunnels and Trolls: and all my D&D 3.5 hardback books. Anyway, the point of all this is that, while I was tidying and boxing things up, and burning *sobs* and generally going mad in a wild ardent fervour, my mind was working away ten to the dozen; prioritizing a mental wish list of projects I would enjoy throughout the foreseeable future. I think, knowing I would be keeping tabs on all my hobby activities here in this website helped me a lot in deciding exactly what I wanted to spend my time doing from now on. And it soon became clear to me that I wanted to have a go at running a (simplified for playing alone) long term solo Dungeons and Dragons game. I had done this before, many years ago... the prime focus of attention back then had been my on-line correspondence with another passionate soloist from Croatia... a guy who thought and enthused just like me, and we shared many many happy months writing back and forth to one another, and sharing ideas and battle reports with an ever appreciative eye. 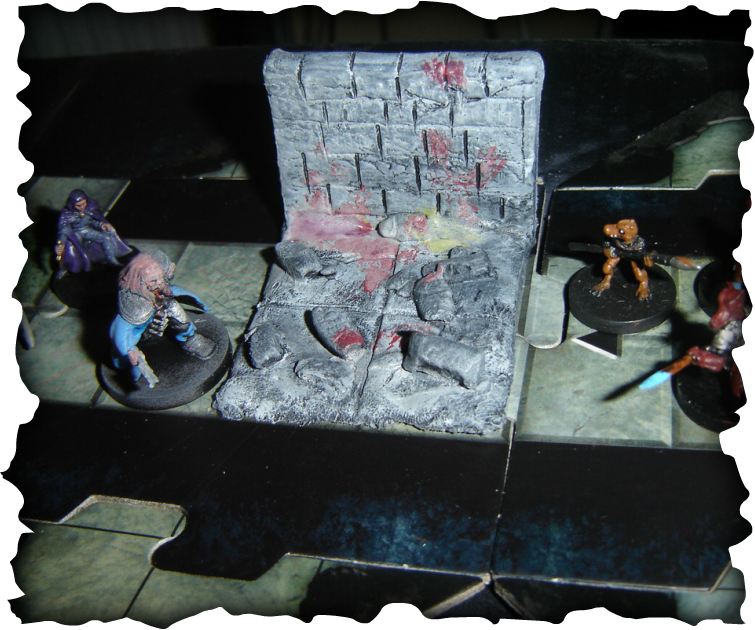 Now, I already had my 10mm fantasy dungeon minis to play with. But I wanted something new, something fresh, something I could really get my teeth into, to get over the deep trauma of having just lost nearly 60% of my lifelong collection to the fires of hell and worse. And it was about this same time, back in 2013, that I had begun to hear about a new dungeon crawl game from Wizards of the Coast in 28mm. 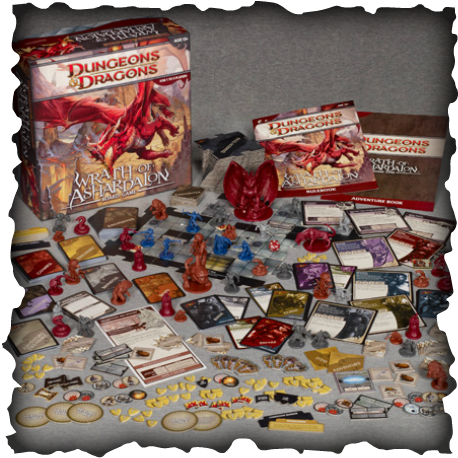 Okay, it wasn`t new exactly, but I had never heard of it until quite late on the scene, and I discovered it quite by chance on You Tube: The Dungeons and Dragons Adventure Boardgame System. It seemed to promise everything I had ever wanted, and so I read (on line) all I could about the game. I quickly realized it was not just one boxed game, but three separate ones - yet each totally interchangeable and usable with its other sisters. 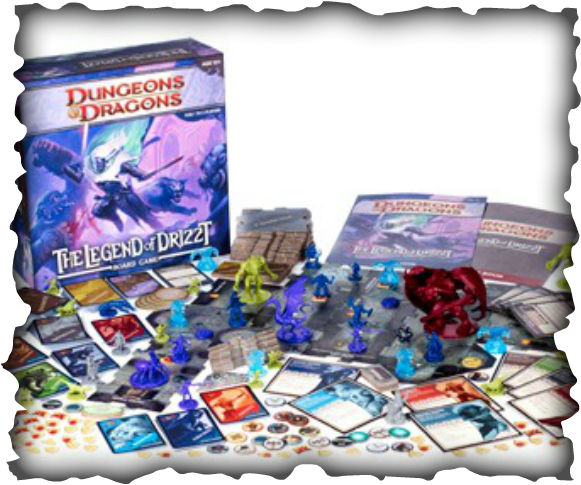 Combined, the three games would give me a sizable collection of D&D minis; plus the game contained all the terrain tiles to create an endlessly varied dungeon, and what`s more... the game was totally 100% playable as a solo experience. The more I read, the more I began to ponder on the idea of buying it for myself. But when I finally found some game tutorials and battles played out on You Tube, that was it: I went and ordered all three boxed games from Amazon.uk and waited as patiently as I could for all the stuff to arrive. Okay, I practically wore a hole in the floor boards as I paced up and down waiting. I didn`t have to pace for long. Three days I think. I knew the boxes were meant to be big.. I`d heard that in the reviews I`d read; but oh my goodness, I wasn`t prepared for exactly how big the games would be... and I had three of them arrive all at once. I was utterly in gaming heaven, like a chocolate addict let loose in a Galaxy warehouse. I had originally planned to open one game, play it to death, and then proceed to the second, and so on. But of course, I simply had to see the contents of each box. 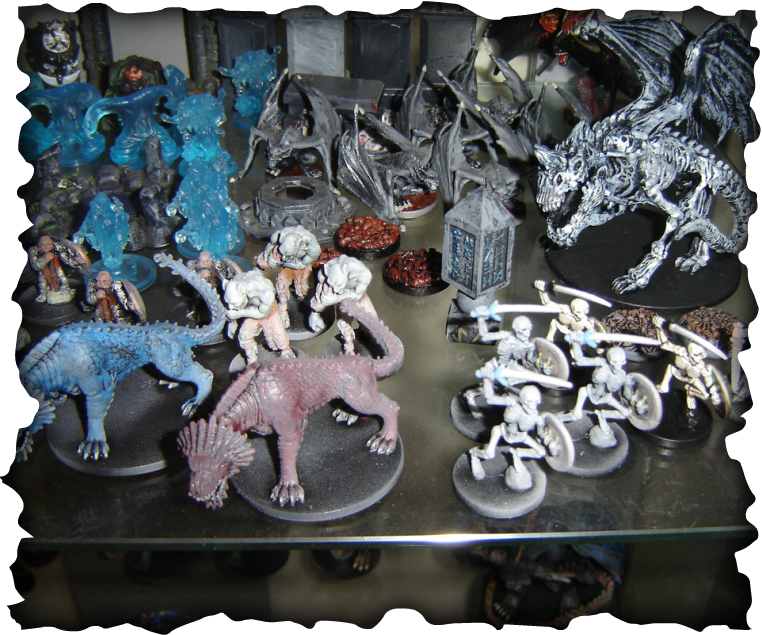 Actually, I`m very glad I did this because, enthused and carried along in a wave of gaming euphoria, I was able to take all 140 miniatures and paint and varnish the lot over a couple of weeks of intense hard work. The end result was well worth the time it took, and I soon had a lovely shiny brand new collection of finish miniatures sitting on my shelf waiting to be played with. Yet as fortune was to have it. 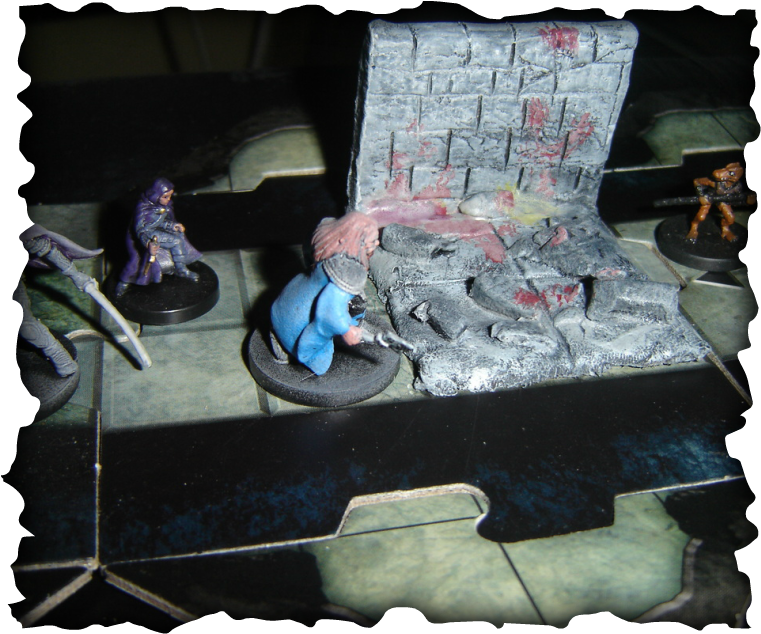 Work and family commitments meant I wasn`t able to do much with these games for several months and apart from daydreaming of adventures and campaigns still to come, I had to be content to wait until I had enough spare time to do the game full justice. But... fortune has smiled on me a lot over the last few months. I was recently browsing through campaign blogs for playing solo D&D (there`s a distinct absence of these on line resources for this style of rpg, unless you go retro and look up one of the many `clone` sites that have sprung up lately; but little for anything beyond the classic old school game... which suits me fine as this is right up my street), and I was extremely surprised when I stumbled across a website that was offering PDF copies - all three original TSR game books and the 4th elusive Greyhawk supplement - for free. With feverish, excited hands, I clicked the download button; and now I have all four books to add to my treasured collection (I even found and downloaded book 5 "Blackmoor" and a really good scan 1st edition copy of "Chainmail"). Even as I speak, I am waiting for the local printer shop to print and bind these amazing goodies for me; and my plan is to use the Dungeons and Dragons Adventure Boardgame System and all its components alongside my brand shiny new bound copy of Gygax and Arneson`s original rules. By using a nifty piece of cunning, I have managed to create a really usable table for combining the Boardgame cards (Monster cards, Events, Treasure cards, etc) alongside the old school rules to create a perfectly seamless and usable whole. I should point out that I actually do already own a copy of these 1st edition rules and some of the supplements (picked up at Gencon back in the early 70`s, but they are far to precious to use, and these sit behind glass on my shelf and seldom get touched, except my me... and with kid gloves so as not to damage even a single page corner). These new PDF copies are like all my Christmases come together at once. Incidentally, for anyone looking for inspiration to play some decent solo game, I`d happily recommend you to check out: http://tabletopdiversions.blogspot.ie/p/campaigns.html its a really good website full of wonderful bits and bobs. In my spare time, I have been looking around on line for 3D terrain tiles, with a mind, possibly, to making a mega purchase. I figured this would enhance the visual effect of my games no end; and so began the long process of elimination, until I found just the stuff I needed. I looked long and hard at "Terraclips". 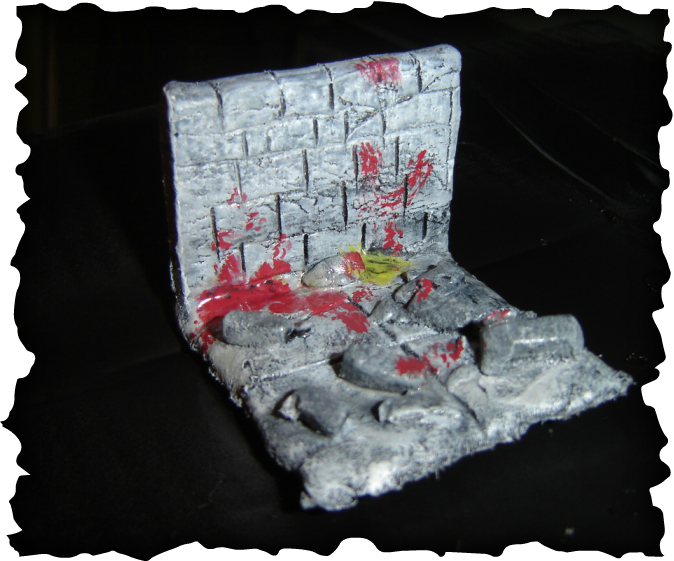 All three of their Dungeon sets would provide me with heaps of amazing terrain, and they looked utterly amazing. I had already seem the `Streets` set being used in a game at "Other Realms" in Cork, and had fallen in love with the look of the whole thing straight away. But hours of watching You Tube tutorials and reviews gave me cause to ponder and pause. They might be the answer to every gamers dreams... visually, but I was a bit concerned about (a) how long it would take to assemble the tiles before each game set up and take them down again each time, and (b) they didn`t look to be that strong or durable. 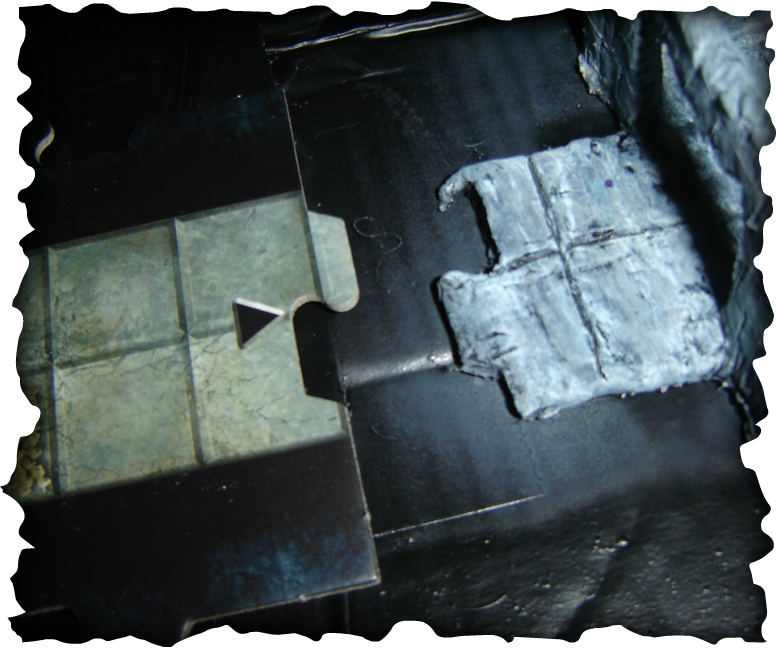 Put it this way: I am one of the most careful gamers in existence when it comes to looking after my precious things, but I had grave misgivings whether these tile pieces would stand the test of time. And so, a little sadly, I turned my back on that idea and started to look elsewhere. I looked for a while at a new company doing something called "Bendy Dungeons", and I even went as far as putting a load of these sets and their add on terrain booster sets into the `buy now` cart; but something held me back. They were cheap and cheerful, sure... but visually, I dunno, somehow they left me feeling... empty. The Oooo and Aaaa factor just wasn`t there for me. At the last minute decided no, these are not for me and I clicked out of the site and started my search elsewhere. "Hirst Arts" was next, They looked good enough. Not inexpensive, but certainly a much cheaper alternative than Dwarven Forge (which I looked at, droolingly, but laughed myself silly at their ridiculous king`s ransom prices). 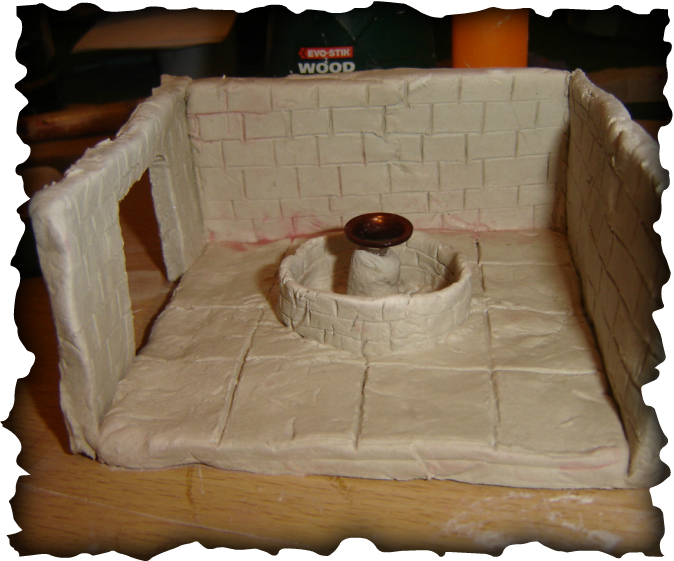 I could either buy a selection of complete 28mm dungeon sets from Hirst, or I could buy the molds and make my own. This interested me considerably for a while, but in the end I decided to sit, and wait, and think before jumping in fully... into what was, after all, going to be a pretty major financial investment for my hobby. I`m glad I did wait, because a few days later, while shopping in Bantry with my beloved, I was just walking past a small Craft Shop (which I must have passed a hundred times before with little or no interest) when suddenly, I stopped dead in my tracks as I looked in the window. There in front of me I saw my future flash before me, and it was called "DAS". 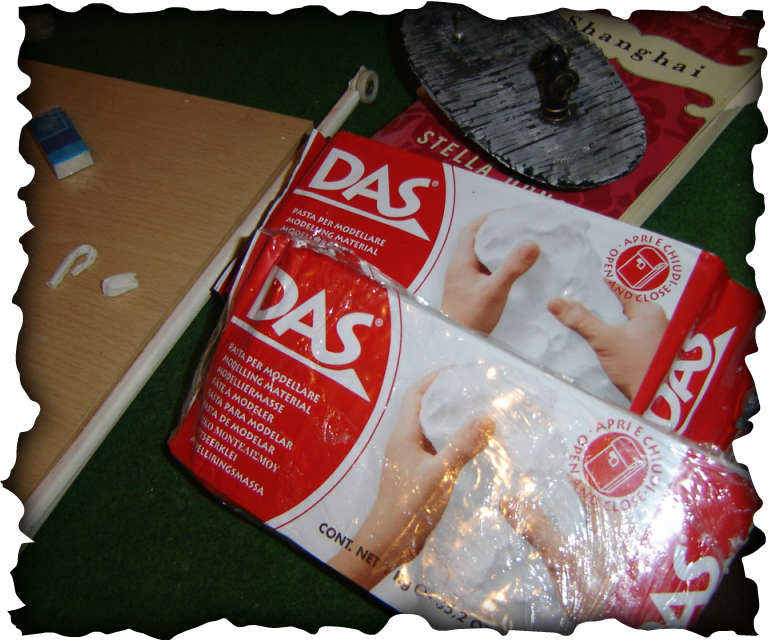 DAS modeling clay. Cut it, wet it, and mould it into shape! No firing process required; when you`ve finished working on your master piece, you simply leave it to harden overnight all by itself. So I walked into the shop and purchased a couple of packets of the stuff... enough actually, in retrospect, probably to make a considerable sized dungeon layout. Both packets gave me change from 15 euro, so wow, I was pretty happy. Not bad when you consider I had previously been browsing on line with a mind to spending (with postage) as much as 160 euro... and possible more. 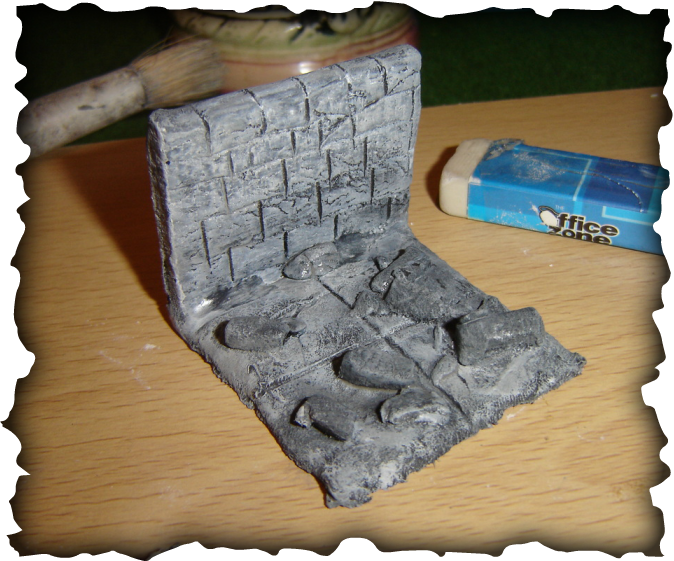 When I got home, I went back to my trusty computer and started to look at what others had crated for themselves, and for a while I felt quite the DIY man, as I contemplated how to go about crafting my very own 28mm terrain tiles. 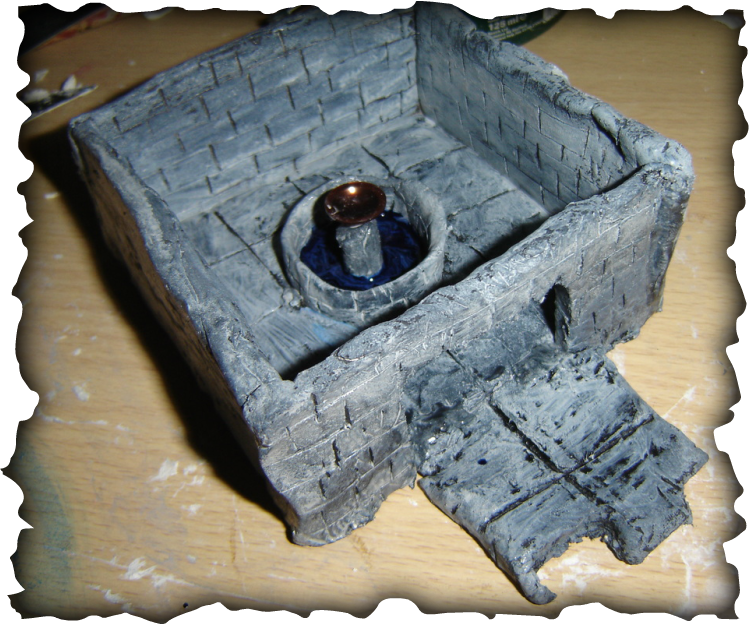 My search yielded some very attractive pieces of home made terrain, and this inspired me even more, and I began to dream more and more about totally making my own unique dungeon. It would be slow, but it would be extremely rewarding, and just think of the money I would save? But I decided to be wise... start small at first. Immediately the thought flashed into my head that I would not rush straight into making a complete dungeon, as that would probably be a total disaster. 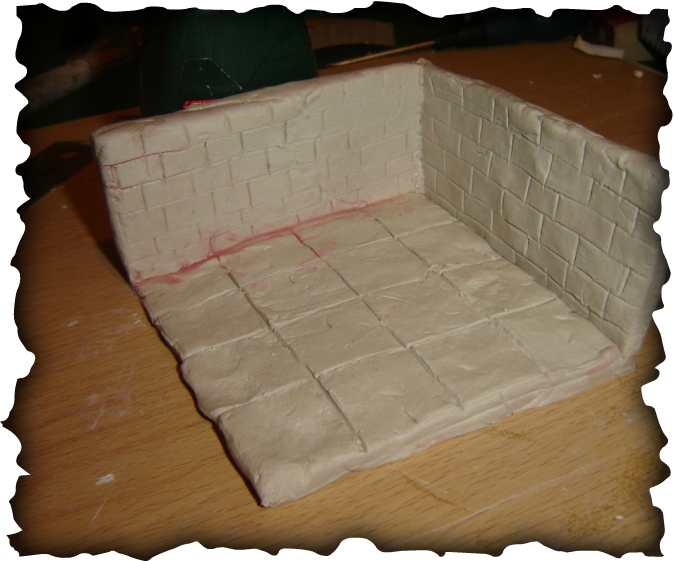 I had never used clay before in my life and had no idea if I even had any aptitude for it, and so I reeled myself in a bit, and made a very deliberate conscious decision to think inside the box (very unlike me actually. Usually its all or nothing with me). Running through the D&D Adventure System deck of Event cards I quickly found where to start. "The Cave In" would be my very first project. By now I was beginning to fine tune exactly how I would go about creating my dungeon tiles, and also deciding what I would make as a first project. To start with, I would just create some one off tiles to enhance what already existed in the game. The Adventure System comes with an amazingly detailed and complete set of cards which covers just about every conceivable dungeon condition the dungeon master or players could envisage from the vast pool of classic gaming session history; sliding walls, pit traps, wide chasms, fire traps, etc etc. I figured I would take each of these tiles (the game already comes with tokens you place down when situations occur, but they are only flat 2D pieces of terrain.. mine, I hoped, would enhance the look of the game considerably) and I would make my own 3D tile for each `special encounter` included in the deck. When the game called for one of these to be used, instead of using the flat tokens provided with the game, I would instead place my tiles down on the board over the danger spot. 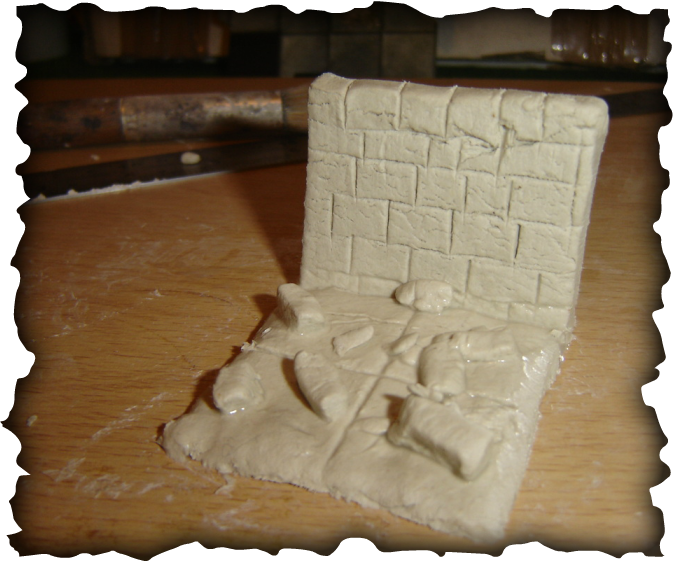 For my very first attempt at puddling about with clay, I was pleasantly surprised. 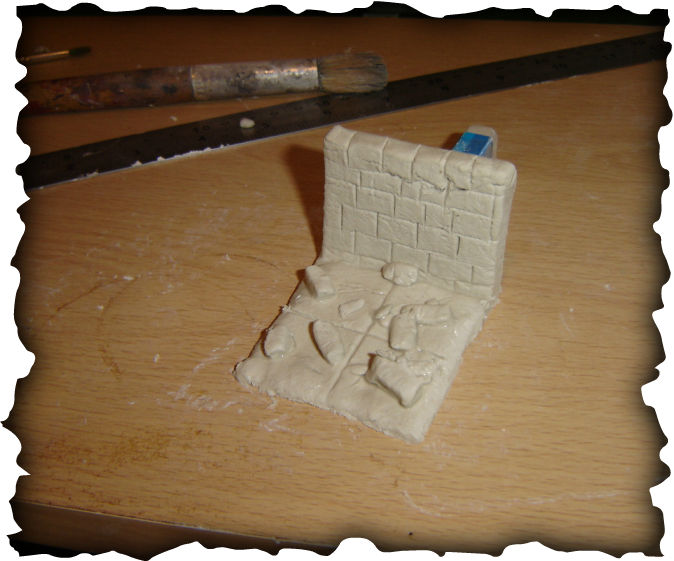 The clay is workable for a long time after you finish playing about... I`d estimate you could still mess with it for a good few hours after leaving it to dry. Drying takes over night before it becomes rock hard... and apart from gently moving the piece, I wouldnt advice any rough handling until the clay is fully dried out. A bit more detail, then a spray matt varnish, and bingo! ready to be used in a game. The adventurers walk straight into a Kobold tunnel set up! fortunately for the heroes, the trap is sprung a little too early by the eager little beavers, and the only thing to get caught under the crushing rocks is one of their own number... eeek! This was just a test run... of course the tiles can painted to as high a standard as you wish. I`m old school, so I rather like the gaudy `toy like` effect best of all. 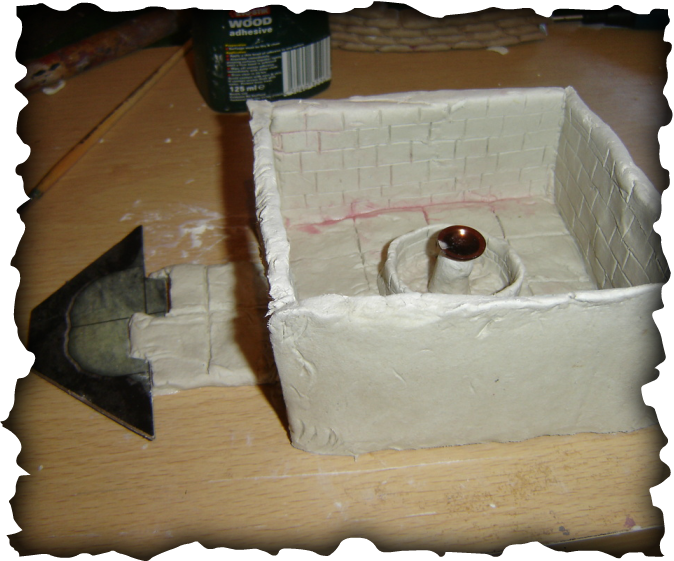 Another attempt at a DAS creation... this time a small chamber containing a well with a drinking bowl in the middle. I thought in time to add an interlocking (jigsaw connection) section so I could link the chamber to the other dungeon tiles. 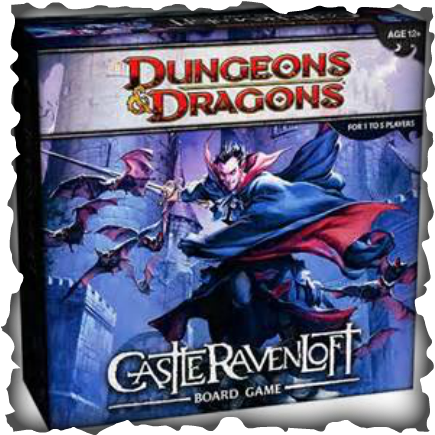 I have since gone on to buy five sets of Dungeon Command, which is a dungeon crawl game that evolved from Wizards of the Coasts masterly D&D Skirmish Miniatures game. Now, while I personally think Dungeon Command really isn't very good (as the stand alone game it was primarily sold as), fortunately, the guys over at WotC had the forethought to include cards and stats for all the miniatures contained, so they would all work alongside the Adventure System Boardgames. This meant I was able to add a load of extra miniatures to the game: Orcs, Goblins, Drow, Undead, and various extra Heroes and Non Playing Characters. But it gets even better. 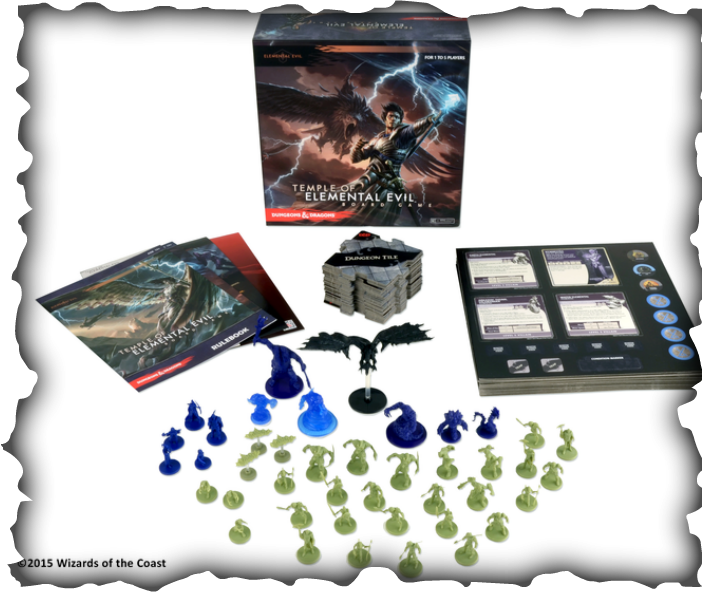 WotC in conjunction with Hasbro have just bought out a forth boxed game to add to their D&D Adventure System Boardgame series: "The Temple of Elemental Evil", which I think is exceptionally good.... more Cultists (end elemental types) and less Monsters. I have heard some complaints about this (I suspect, mostly from gamers who only own this `stand alone` boxed set, and not those who have stayed with the game from its conception, and who already own the vast number of Monsters from the earlier boxes). 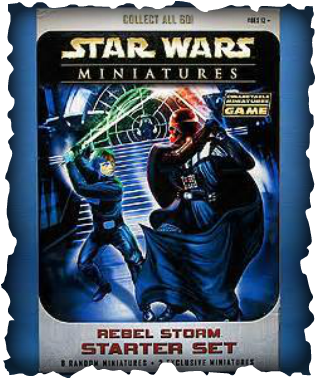 A while ago, I had a thought *ouch* I would add my old collection of Star Wars "Rebel Storm" miniatures to my D&D miniatures games. I just had to find them all out of the attic (and if you took a look at our cluttered atic, you would quickly see this in itself is no mean feat of accomplishment). Anyway, time passed, and with the new Star Wars film(part 7) as well as the amazing Rogue Star prequel finally out in the cinema, I found myself looking at Star Wars again, and happily glad I still had my old collection. But then I spotted a rare find. On eBay, quite by chance while I was checking out something entirely different (actually, additional ship models for Sails of Glory) I spied a rather large and neat collection of Star Wars - Rebel Storm miniatures. Better still, they were offering the lot as a rather attractively priced "Buy it Now" offer. 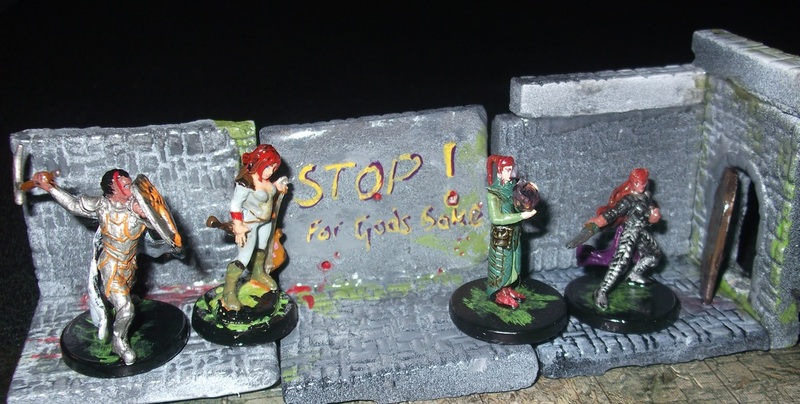 Now, I really liked the Wizards of the Coast`s Dungeons and Dragons Skirmish Miniatures Game, and it stood to reason that, when they subsequently bought out a Star Wars range as well, that I quickly would end up liking these as well. Rebel Storm was just one of the Star Wars ranges they did,but covered my favourite of all the Star Wars `eras` namely, the original three films: Star Wars, Empire Strikes Back, and Return of the Jedi. So yeah, when I saw a lovely big collection of The Rebel Storm miniatures just staring back at me from the page on eBay, whispering seductively in my ear "please buy me", I really couldn't`t resist. Okay it wasn`t the complete Rebel Storm range (which I believe was 60 miniatures), but it was almost complete, and contained a nice number of duplicates of things like, much needed Storm Troopers and Rebel Alliance Soldiers. The collection even included a few bits and pieces from "The Clone Wars" set, which was a nice bonus.... never a bad thing to have a few Trade Federation Droids and what not to add to your games. 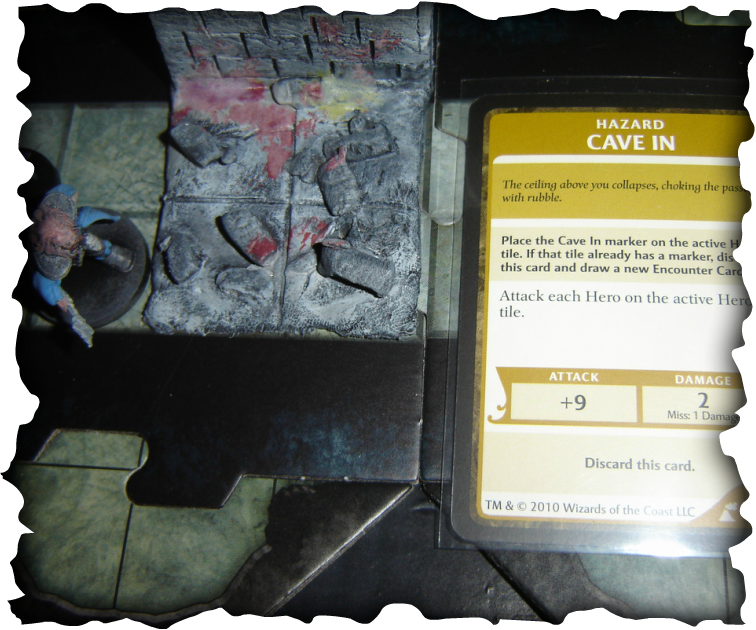 What`s more, the guy even threw in all the game stat cards and a heap of cardstock Star Wars terrain tiles as well. And so suddenly, my collection was starting to feel very complete. Masses of Dungeons and Dragons miniatures, heaps of dungeon and sci-fi tiles, and now a rather impressive range of Star Wars miniatures to go mix in with it all. At last I was ready to begin my new mega campaign. Wonder of wonders when my lovely partner said she wanted to play in this as well (oh she doesn't know what she's let herself in for this time.... a huge uber campaign, hehe). So I am finally on the verge of a lifelong wargaming, table top and role playing dream. A hybrid Science Fantasy Dungeons & Dragoons and Star Wars campaign, set once upon time on the far flung edges of a galaxy far far away.